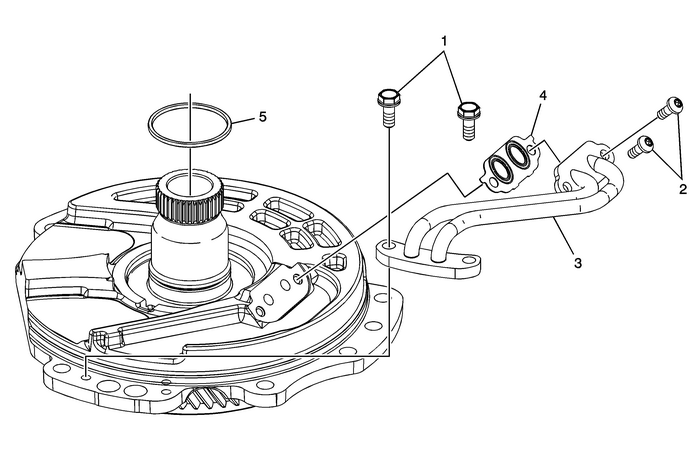 Caution:Do not remove the transfer drive gear bearing retaining nut.The drive gear and bearing are not serviceable. Removing theretaining nut will damage the support. 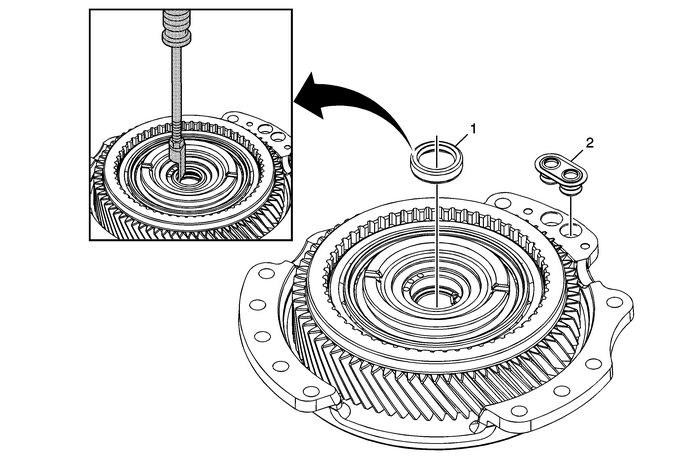 Preliminary ProcedureInspect the support assembly for damage or wear to the splines, bushings, machinedsurfaces and threaded holes.Inspect the transfer drive gear for damage or wear.Inspect the transfer drive gear bearing assembly for proper operation.The bearing should roll smoothly and quietly. Preliminary ProceduresInspect the support assembly for damage or wear to the splines, bushings, machinedsurfaces and threaded holes.Inspect the transfer drive gear for damage or wear.Inspect the transfer drive gear bearing assembly for proper operation.The bearing should roll smoothly and quietly. Note:Inspect the tubes for damage, wear or cracked welds.